Three mind-blowing adventure activities. One low price. 30 spots available. Designed for new/beginner climbers of all ages (adult supervision required for kids 6-13). Challenge yourself to reach the top of multiple rock climbs and reward yourself with the view from above. 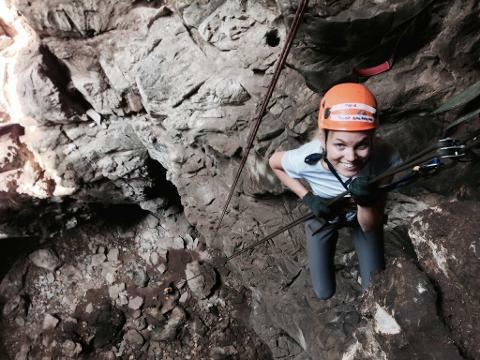 Experience an exhilarating 35 meter free hanging rappel to the floor of the cave. Get awed by wild cave geology and learn about how limestone mountains and caves are formed. Crazy Horse Buttress is a world class international rock climbing destination located just 45 minutes from downtown Chiang Mai. With more than 150 routes, 35 caves and a lush bamboo forest, it is one of the most exciting destinations in all of Northern Thailand. 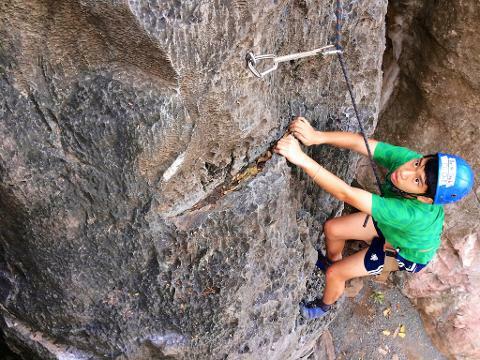 CMRCA prides itself on providing safe, exhilarating and fun rock climbing adventure experiences. All of our instructors are certified by American standards. 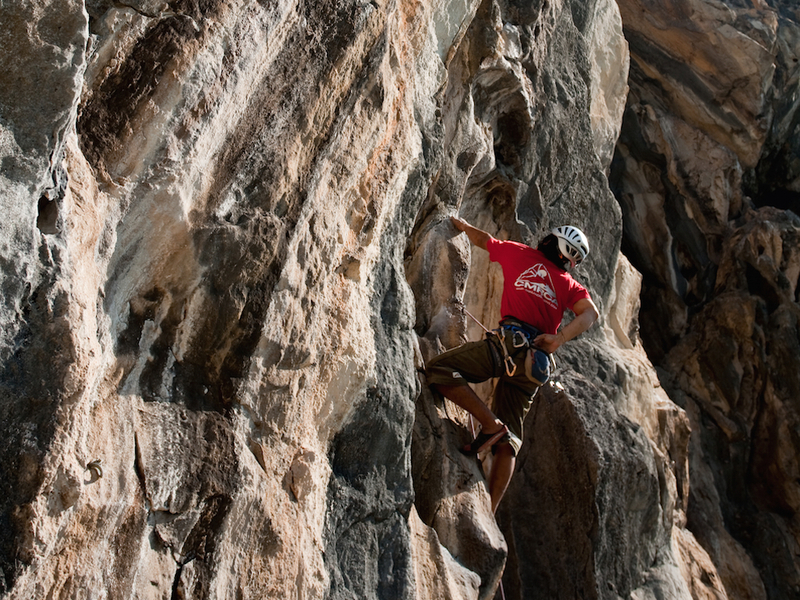 We strive to create the ideal place for new climbers to develop a love and passion for the outdoors. Instruction, transportation from CMRCA to climbing site, equipment, lunch, water, insurance, coupon for 20% off anything at the CMRCA adventure store, one day bouldering gym pass, and discount on additional courses. Please arrive at our shop between 8:00-8:15 in the morning. All courses will return to the shop around 17:00-17:30. Closed-toed sport shoes, athletic clothing, a reusable water bottle, mosquito spray, and sun screen.